Held in association with the Department for International Trade, the event enjoyed a 50% rise in entries on 2017. It was a challenging award to win with the judges criteria stipulating that they were looking for: “the best-in-class when it comes to all elements of automotive manufacturing, concentrating on innovation and pioneering technology, alongside efficiency and sustainable growth”. The judges were also looking for the company that is putting UK automotive manufacturing on a global map. With the regional title now secured, Scorpion Automotive will now go on to compete for the national title at an awards evening in Liverpool held in June. 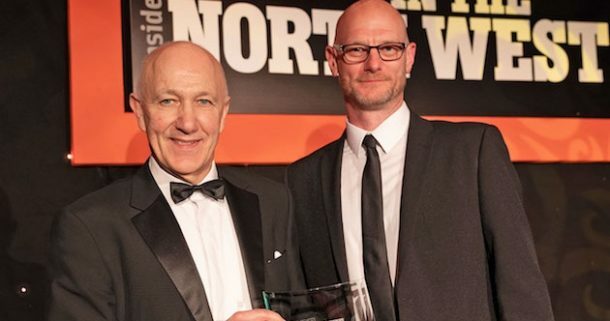 Mark Downing, Managing Director of Scorpion Automotive said: “We’ve invested heavily in new manufacturing plant, R&D and people over the last 12 months in support of our ambitious global growth strategy so it’s very gratifying that our efforts have been recognised with this award. It is well deserved recognition for the Scorpion team and we are all excited to be amongst the many great British manufacturers that are in the running for the national Made in the UK awards staged in June. Scorpion Automotive was also a finalist in two other categories: Manufacturing Company of the Year Award and the Export Award. Scorpion’s products are supplied to the likes of Aston Martin, Subaru, Toyota, Isuzu, BMW, DAF Trucks, Leyland Trucks, Iveco, Norton and Triumph Motorcycles, with sales in 16 countries.